Okay, all you eye-rollers, cut it out. 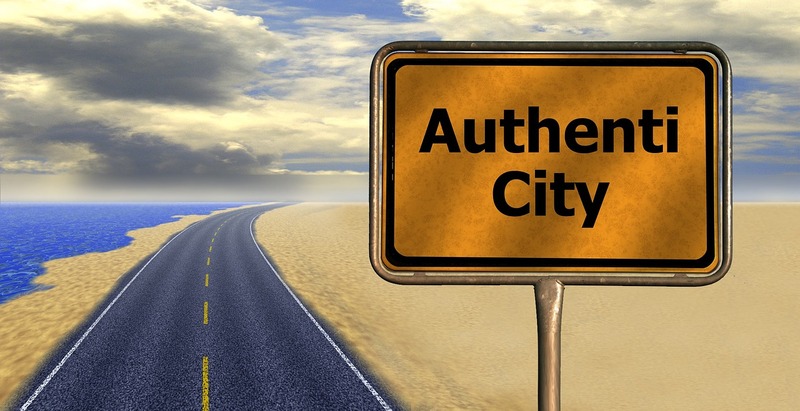 Seriously, what does it mean to be authentic, and why has it become such a flash point in public discourse? This word, authentic, either resonates or repulses–there’s no neutral response. Okay, so maybe that’s an oversimplification, but they did. Get into it, that is. In the blue corner, you have Adam Grant–Wharton Professor, best-selling author of Originals, Give and Take, and his most recent collaboration with Sheryl Sandberg, Option B. And in the red corner, you have Brene Brown – University of Houston Professor, best-selling author of Daring Greatly, Rising Strong, and the most recent, Braving the Wilderness. A fair match all things considered, especially if you un-consider the behemoth sitting on the red end of the teeter-totter–Oprah. Yes, Oprah. The very same Oprah that put the likes of Eckhart Tolle and James Frey on the map. Yeah, that Oprah. In fact, this is the very Oprah that provided the spark for the feud in the first place. Now on the face of it, he didn’t really do anything wrong, or at least not anything any (many) other authors have already done, which is to leverage the name of a famous person to sell copy. But here’s where it gets messy. Okay, so that was mistake number one. Authenticity does not, in fact, mean (or even require) that one must erase the gap between what one believes and what one reveals. Brene Brown has made a career of encouraging people to be brave and vulnerable and, yes, authentic. Now why do you want to go and pick a fight with someone like that? Someone whose website bio consists of three words: Researcher. Storyteller. Texan. There’s more to the article, of course, and you can read it here, but it was, nevertheless, pat (at best) and even wrong in some places. How much you aim for authenticity depends on a personality trait called self-monitoring. If you’re a high self-monitor, you’re constantly scanning your environment for social cues and adjusting accordingly. You hate social awkwardness and desperately want to avoid offending anyone . . . . But if you’re a low self-monitor, you’re guided more by your inner states, regardless of your circumstances. The way he defines high and low self-monitors suggests that high self-monitors constantly censor themselves, whereas low self-monitors have pretty much no filter. And by associating authenticity with self-monitoring, he’s suggesting that true authenticity correlates with no filter. I hope so. Because I don’t see much connection between authentic people and their (non)ability to filter what they are thinking in order to meet social conventions. Okay, so that’s quite a bit different from the Forrest Gump version of authenticity, don’t you think? authenticity requires almost constant vigilance and awareness about the connections between our thoughts, emotions, and behaviors. It also means staying mindful about our intentions. Real authenticity actually requires major self-monitoring and isn’t, as Grant proposes, the lack of self-monitoring. In fact, setting boundaries is, by definition, self-monitoring – it’s thinking about what you’re sharing, why you’re sharing it, and with whom you should be sharing it. So more filter, not less filter. Then Grant takes a further swipe at authenticity because, according to him, it “presupposes that there is a true self, a bedrock to our personalities,” which (and here he cites another researcher, Carol Dweck) is not true because we can, in fact, shift our mindsets from a fixed one to a growth one. Woah, woah, woah, hold on a minute. Aren’t we taking disparate theories (behavior theory, personality theory, mindset theory) and dumping them all together (like a load of whites and coloreds) until they come out . . . pink? And then he really loses it. He says that instead of authenticity, we should be striving for sincerity. Instead of searching for our inner selves and then making a concerted effort to express them, [Lionel] Trilling urged us to start with our outer selves. Pay attention to how we present ourselves to others, and then strive to be the people we claim to be. Now we should be sincere not authentic? Talk about gerrymandering the English language! And to what end? A publication in the New York Times? On second thought, I’m going to crosslink the heck out of this article on the off chance that The Times is paying attention. Oprah! Brene Brown! Adam Grant! Trump! Powerball! Walmart! . . . Walmart? And on this happy and authentic (yes, I’ll do whatever it takes) note, I’ll say goodbye. Until I can be more sincere. *By the way, the irony of “using” women to earn points while at the same time trying to score points off them does not escape me. genuine sympathy; a genuine antique. a genuine case of smallpox.